Warm up those pipes, it’s time for the best karaoke songs for women with low voices. I definitely don’t have a good singing voice. That doesn’t stop me from singing karaoke every chance I get. With karaoke, it’s more about the verve and the panache of your performance than your vocal quality. Or at least that’s what I tell myself. I took chorus in high school by mistake. I misunderstood the fact that I would need to take it for TWO YEARS in order to fulfill my music and art credit. If I thought it was a punishment, I can’t imagine what my chorus instructor thought. Poor Mrs. H., she wanted to focus on the kids with the beautiful voices but she also had to teach the kids who sounded like a cassette tape caught in a player–the kids like me. Still, I didn’t let a bad voice stop me from enjoying karaoke. You shouldn’t let anything about your vocal features stop you. Likewise with low or high voices–whatever your range there is a song for you to sing. You might also want to check out the 11 Best Karaoke Songs for People Who Can’t Sing. If you’re like me then you are often imagining you are performing the best album in your career in the shower–and you’re just scaring your spouse. 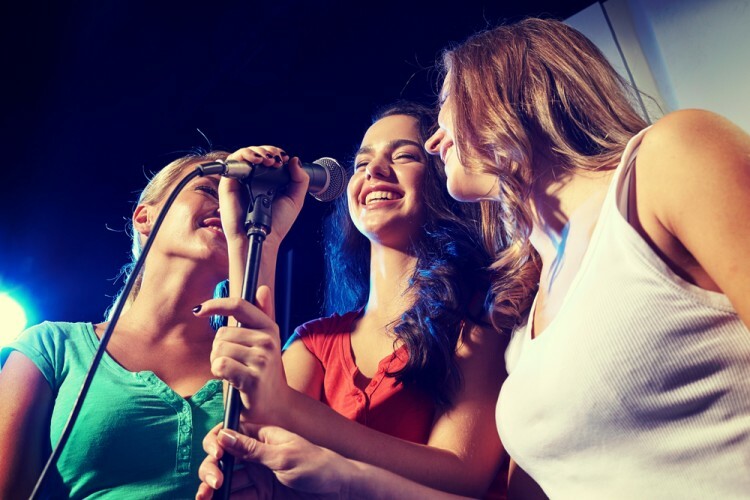 With these songs on our list of 15 best karaoke songs for women with low voices, you can enjoy yourself and feel like a superstar. In order to create the list, we collected information from Quora and Trend Chaser to see which are the best songs for women with low voices. Since different songs suit different voices and tastes, we sorted them alphabetically by the artist/band name. Let’s jump to the list and see if your favorite song or artist found its way here. Now enjoy the best karaoke songs for women with low voices.